Our enthusiastic instructor Clare is available Tuesday to Sunday for one-to-one or group tuition. 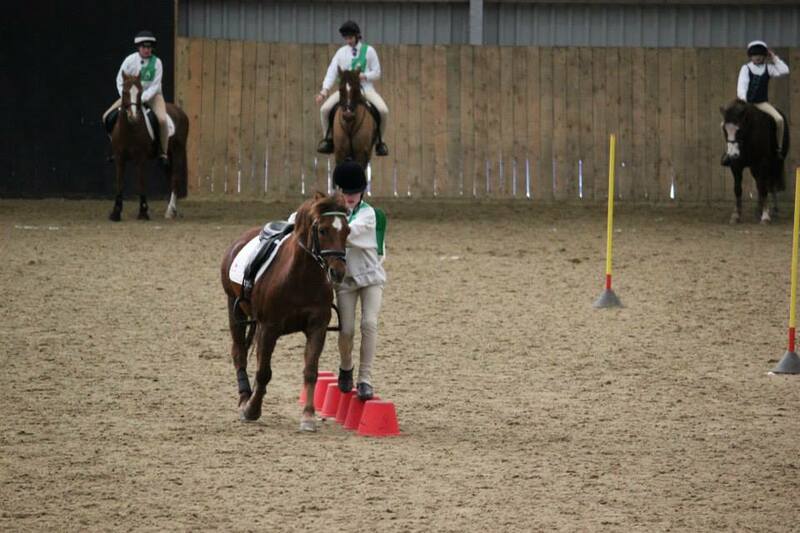 Our dedicated staff and horses teach all levels of rider, and are exceptional with complete beginners. Our facilities allow us to cater for all abilities with access to dressage and showjumping competitions and clear round jumping. We also have expert instructors holding regular clinics including pole and grid work which clients can take part in on their own pony or one of ours. We offer lessons from the age of 8 years old. We have a variety of experienced horses and ponies that cater for all riders. Tikka: 12 year old, 13.2hh gelding, one of the favourites Tikka is a lovely cheeky chap. Lollipop: 5 year old 12.2hh grey mare, a fantastic little jumper, she is great fun for the kids. Lucy: 7 year old 13.2hh grey Connemara mare. Lucy is a frequent and successful unaffiliated dressage competitor. Elis: 5 year old 14.2hh black Welsh Cob Gelding. Elis is a very sweet boy who always takes part in our dressage and show jumping events. Duke: 13 year old, 15.2hh liver chestnut Welsh Cob gelding. Duke is a smart boy who enjoys flatwork and popping fences. Cody: 23 year old 16.3hh black mare. Cody is a lovely school mistress who is a joy to ride. Finn: 20 year old, 14.2hh grey gelding. Finn is a jumping machine who also loves to play polocrosse! Soda: 6 year old, 13.1hh dun skewbald mare. Soda is our newest member in the team, the children are enjoying getting to know her. Please see our facility hire page for a full description of the large number of amenities we have at our disposal to offer top quality riding and instruction. With dressage boards, a course of BSJA standard show jumps, working hunter jumps, and games equipment, alongside the polo and polocrosse club, there really is no need to look any further than Onley Grounds for any equestrian desires! Everything is also available for private hire. 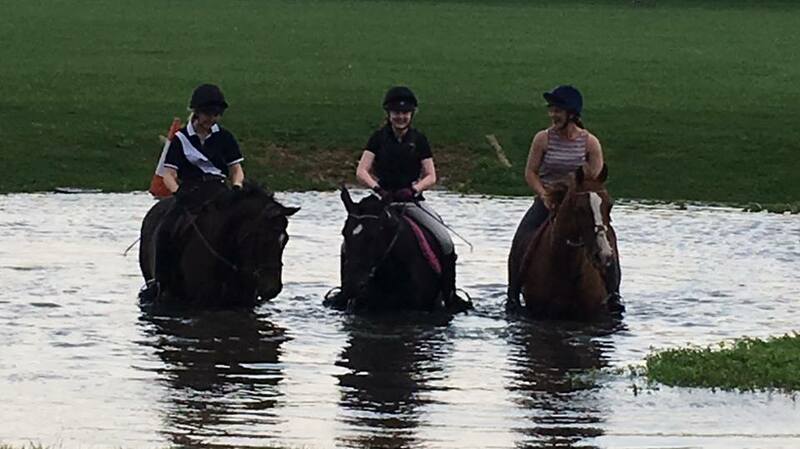 We are a recognized pony club centre hosting regular rallies with the North Warwickshire Pony Club, Warwickshire Hunt Pony Club, Grafton Pony Club and the Midlands Games Association. Onley Grounds Riding Club hosts events open to all and bases its training at the complex. Onley Grounds Riding Academy holds numerous pony days throughout the year. These days are designed to give young riders the chance to get some hands on experience whilst taking part in a fun-filled day. Activities include grooming, tacking up, and stable management, amongst flat work, games, jumping, and weather-permitting, a hack. In the summer months a picnic ride is always the favourite part of the day. Whatever your ability and discipline, our committed staff and expert facilities will ensure you have a fantastic time and learn a lot. Pop in to meet us and the ponies and discuss availability.